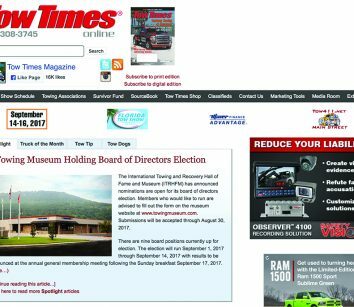 Visit towtimes.com daily for towing industry news updates, new products, manufacturer and supplier info and videos. 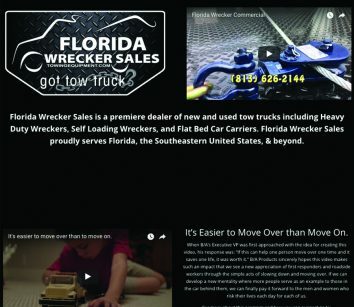 Find items to buy at the Tow Times Shop, marketing tools, bloggers and more. 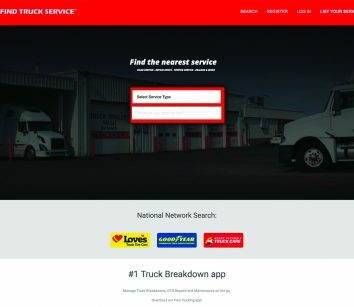 Towtimes.com is your online source for everything towing and recovery. Like us on Facebook, Twitter and Instagram. 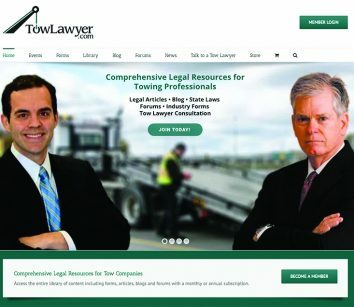 TowLawyer.com is a subscription based website providing legal forms and information specific to the towing industry. 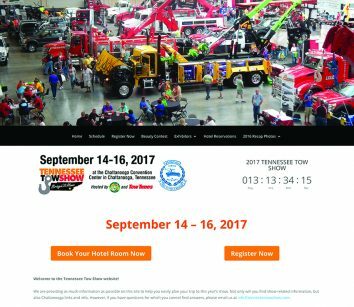 Held each year in Chattanooga in conjunction with the International Towing & Recovery Museum’s Hall of Fame and Wall of the Fallen induction ceremonies, the Tennessee Tow Show attracts visitors from throughout the U.S., Canada and overseas. Show attendees enjoy exhibits, demonstrations, seminars and all of the fun Chattanooga has to offer. 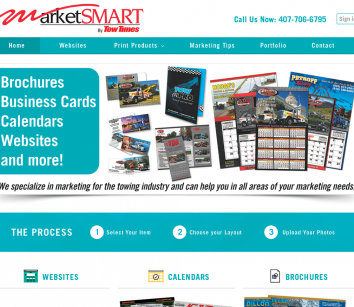 Check out the new MarketSmart website by Tow Times. 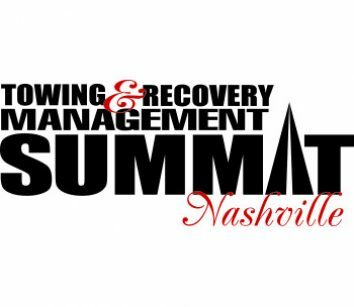 MarketSmart specializes in marketing and promotions for the towing and recovery industry and can help with all your marketing needs. Not only do we showcase our products, but you also can read up on the latest marketing tips. If you want to create a powerful introduction to your website, take a look at our website examples and pricing. Want to highlight your company’s services in print and promote your company all year long? Glance at our brochures and calendars then start your order online. Contact Carol with questions at 407/706-6795 or sales@towtimesmag.com. 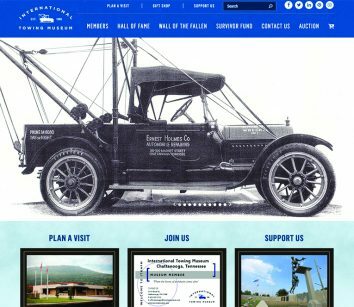 Located in Chattanooga, Tenn., the museum exhibits tow trucks and towing equipment dating back to 1916. The rotating collection includes early equipment built by Manley, Holmes, Vulcan and Weaver. The museum also houses the industry’s International Hall of Fame, honoring individuals who have contributed significantly. The Wall of the Fallen Memorial, dedicated to towers who die in the line of service, is on the museum grounds. Worldwide Equipment Sales LLC is a full service distributor of Jerr-Dan towing equipment, Landoll Slide Axle and Detachable Trailers and Wells Cargo Enclosed Trailers. 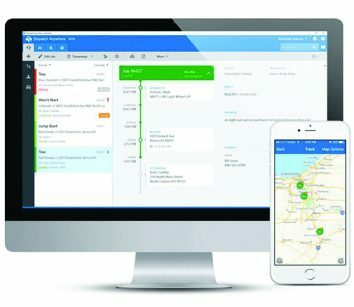 We just added DriverLocate.com, a GPS web-based vehicle tracking system, one of the most cost effective and easy-to install tracking solutions for all your vehicles. Worldwide repairs, services and performs warranty work on all brands of towing equipment and trailers. 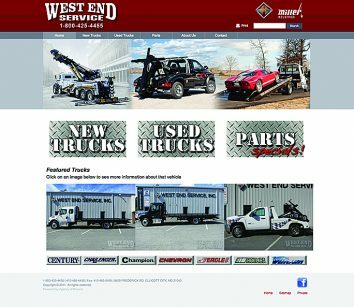 In addition, we also have a fully-stocked parts department with parts for all makes and models of trucks and trailers and offer our complete line of OEM and aftermarket products on our website. 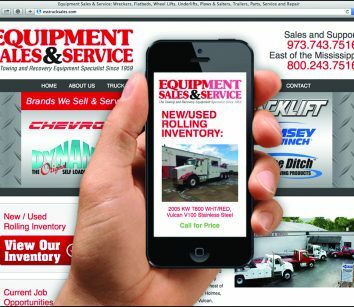 Call for a free parts catalog, Call 815/725-4400. 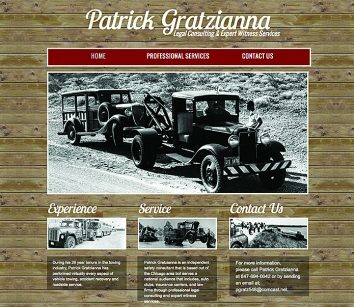 Patrick Gratzianna has performed virtually every aspect of towing, vehicle recovery, and roadside service, and now shares his experience by presenting safety seminars, writing informative towing safety articles, and providing legal consulting and expert witness services. 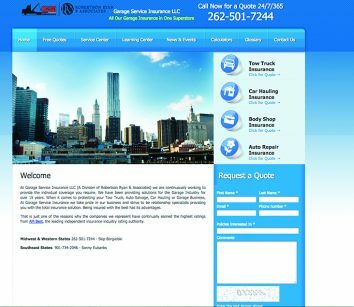 Mr. Gratzianna is based out of the Chicago area but services a national audience that includes: auto clubs, insurance companies, and legal professionals. If you are in need of his services, he can be reached at 847-894-0042 or email patrick@towingexpert.com. 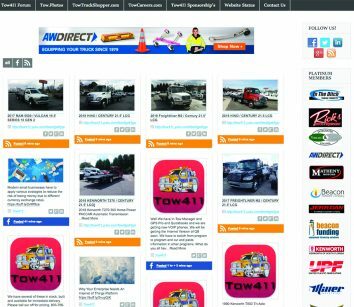 The Towing Information Network known as Tow411.net is the leading social media community for the towing industry. Created in 2001 for towers by towers, the community is now more than 8,000 members strong and has gained industry recognition. You are invited to sign up and join in the towing discussions today. 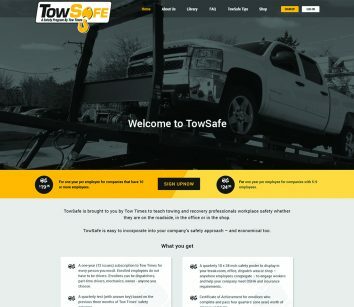 Tow Times’ safety program now has a stand-alone website with safety info, news, FAQs and more. Check out safety videos, and participate in the discussion boards and polls. 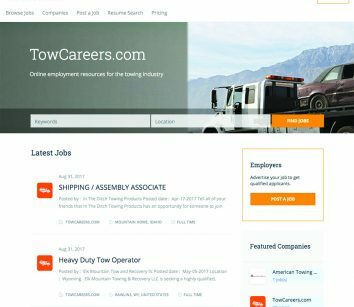 Visit us often to see how towsafeprogram.com is growing and expanding to better serve towing company employees. 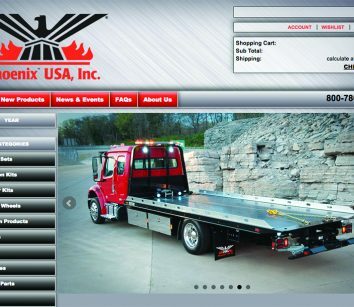 hoenix USA Inc. is a leading manufacturer of wheel simulators for 95 percent of trucks on the road today. We also offer toolboxes, lighting and accessories for your towing needs. 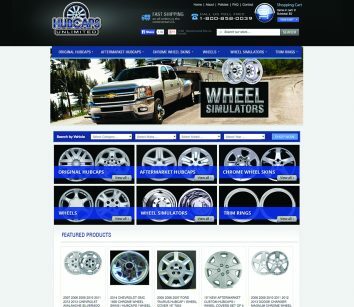 Visit now to see our full line of products as well as our capabilities for custom engineering, shipping and assembly kits made to your exact needs. Visit Millerind.com to see the latest products in action or go on a virtual tour and watch units being manufactured. 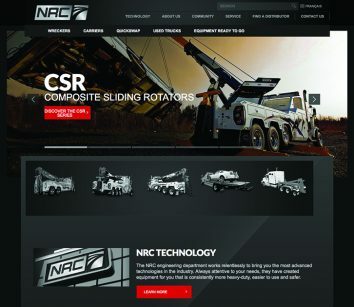 You can also check out all the latest news or complete product lines from Century®, Vulcan®, Chevron™ and Holmes®. Ready for that new unit? Click on Miller Finance and fill out an online credit application. 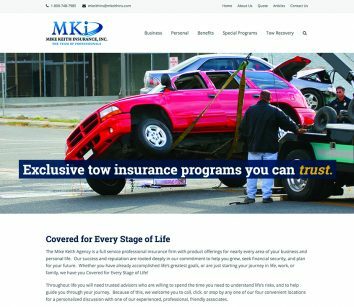 Make Mike Keith Insurance, “The Agency of Choice,” when it comes to your tow and recovery insurance needs. With 50 years of experience, allow us the opportunity to show you what we have to offer ranging from unparalleled service specific to your daily needs to quality “A” rated carrier base to pick from in order to provide you with the price and coverage you so need. We welcome the chance to meet with you individually or over the phone to learn more about your business and design a program that best fits you. Jerr-Dan is showing children the challenges their parents and other real-life road warriors face. JD Junior also illustrates the hard work and commitment that their parents and others bring to the job every day. 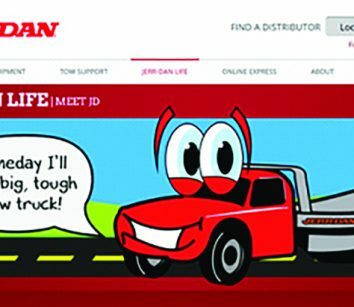 The interactive website is full of activities, including interactive adventures of JD and his family of trucks, online games, printable coloring pages, matching exercises and fill-in-the-blank stories. challenges you face can be a bit of a quandary. 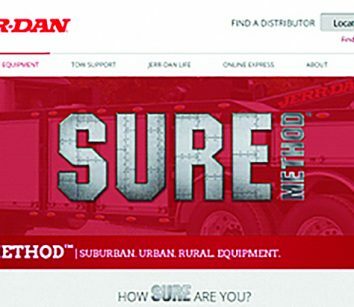 The Jerr-Dan SURE Method™ is a systematic way of designing and building towing equipment based on the specific performance demands of your business, your region and your customers. Jerr-Dan is devoted to putting their customers’ needs first. 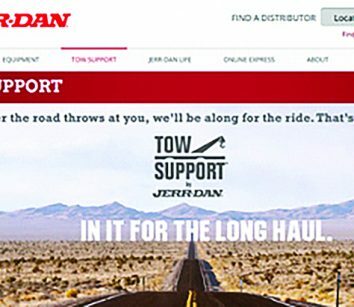 Tow Support from Jerr-Dan focuses on supporting customers after the initial purchase, and making it easy for them to do business with the Company’s distributors. This innovative initiative encompasses all aspects of Jerr-Dan customer service including parts, accessories, warranty, technical support and training. 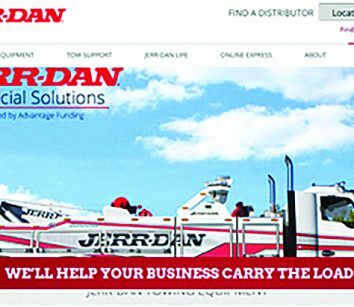 Celebrating its 45th Anniversary, Jerr-Dan Corporation has been best in class since 1972. 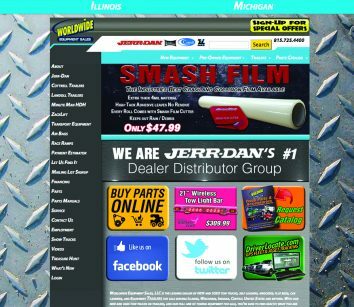 Visit Jerr-Dan’s website to learn about our innovative products and get detailed information to make your toughest jobs easier. 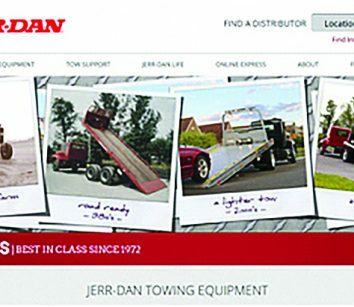 Easily locate the closest Jerr-Dan distributor, check out the specs on a new piece of equipment and get inside information on Jerr-Dan at www.jerrdan.com. 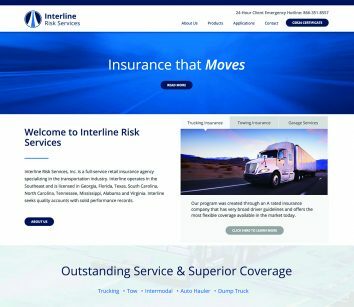 Interline Risk Services knows the ins, the outs and the hidden liabilities that could sideline your operation for good if you’re not covered for it. And we believe that every towing company, no matter the size, should have an equal shot at getting complete insurance coverage at a fair price. 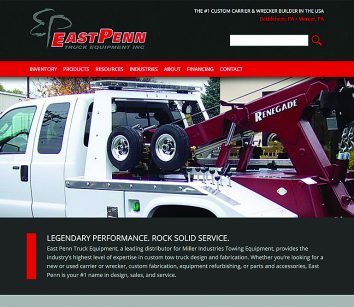 East Penn is committed to providing you with the very best equipment and tools for the towing industry. 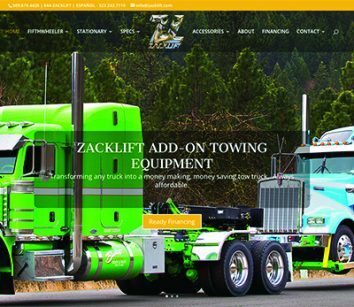 Our website provides convenience when searching for equipment, accessories and replacement parts for your Miller Industries carrier or wrecker. In addition, we offer the necessary product information needed for planning your next vehicle purchase or to browse our selection of new and used vehicles. Check often for updates and the latest inventory. Sign up for our newsletter on our website. 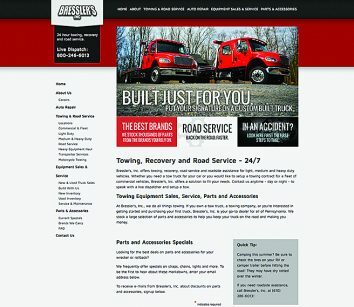 EAST PENN TRUCK EQUIPMENT INC. 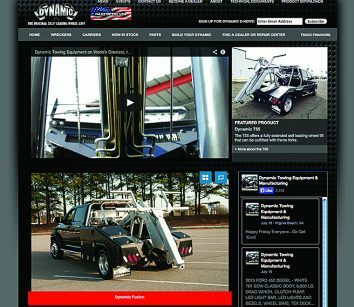 Established in 1982, Dynamic Manufacturing runs its operation in Norfolk, Va. Innovators in the repossession and towing industry. In 1983, Dynamic introduced the Original Self Loading Wheel-Lift that recovered a vehicle with a 0-90-degree hook-up in 10 seconds and the driver never had to leave the cab of the truck. Dynamic has expanded its product line to include a self-loading forklift attachment, rollbacks and slide-in units. 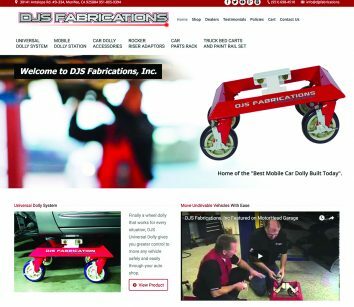 We here at DJS Fabrications are committed to making your workday easier. Our products are made with the automotive industry in mind. From moving undrivable cars to tear down, we have a solution for you. 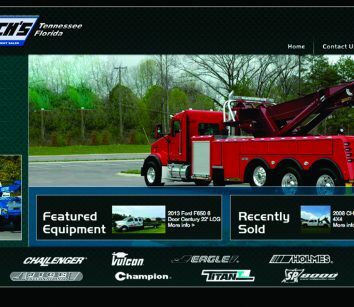 Look no further for your next new or used tow truck or carrier. Always a large section in all sizes and price ranges. New rotators and heavy duties in stock and work ready. Located in Tenn. just west of Nashville and in Orlando, Fla. Call 800-628-5212. 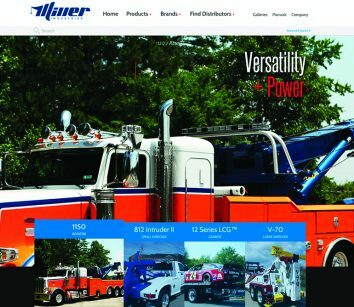 A full-line Miller Industries dealer. 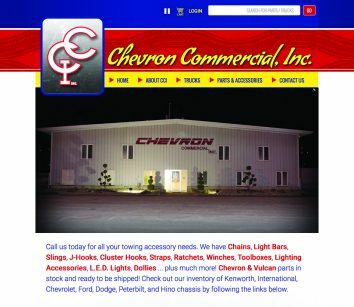 Chevron Commercial Inc. is your distributor for Chevron and Vulcan car carriers, wreckers and parts. We are the Eye Candy of the Industry. Call us today about TOUGH skin coating. Our financing department can get you approved for your new truck. Our new and improved website will be coming soon. Please check back often to see our updates and our online store. Used for mounting your aftermarket, crankshaft-driven accessories onto truck, van and other automotive engines. 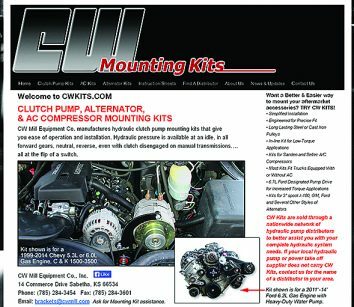 Hydraulic clutch pump mounting kits give you ease of operation and installation with pressure available at an idle, in all forward gears, neutral, reverse, even with clutch disengaged on manual transmissions, all at the flip of a switch. Call 800/743-3491, 785-284-3454 or email brackets@cwmill.com for more information. Bressler’s Inc. is your Pennsylvania Miller Industries distributor. 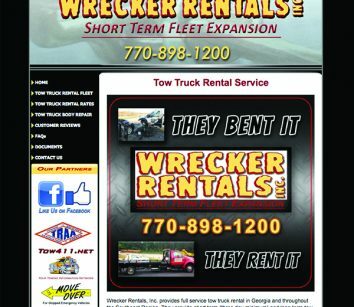 We offer new and used towing equipment, including light-, medium- and heavy-duty wreckers, rollbacks, rotators and more. 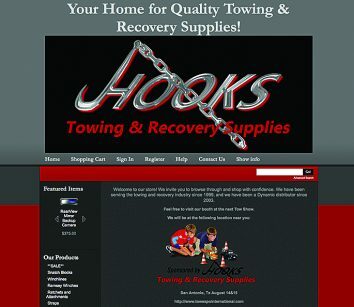 We service all makes and models of towing equipment and sell parts and accessories to meet all towing needs. 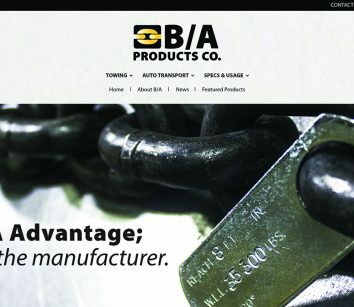 Visit our website and order parts online, or call 800-246-6013.